We strive to assist our clients in identifying opportunities to increase the profitability of their businesses. We work with them continuously, providing the support necessary to implement the solutions identified. Together we create the environment for change that leads to a better business. BIG designs solutions for the myriad of merchandising challenges facing retail jewelers and manufacturers. BIG utilizes a powerful data analysis tool, Balance to Buy, to help consult with our clients and customize their individual experiences and results. 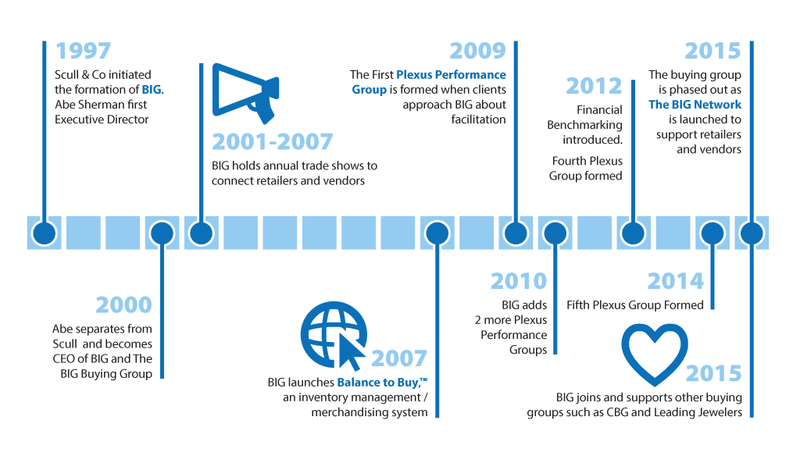 For our performance groups, we dive deeper into understanding their entire business model. The ideas that come from these powerful meetings become actions; our analysis turns into profit and shared best practices create strategic plans for their future.